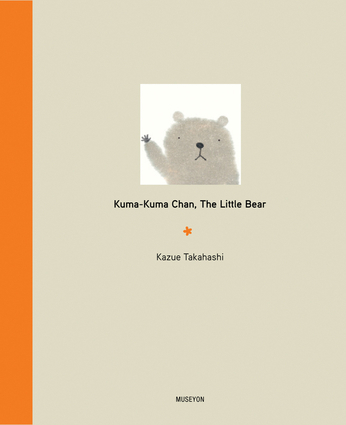 This lovingly rendered, meditative book on friendship is sure to find a permanent place on the bedside tableWith sparse text and a deceptively simple, beautiful design, Japanese author/illustrator Kazue Takahashi brings to life the world of Kuma-Kuma Chan, which loosely translates from the Japanese as "cute little bear." Making its first appearance in English, this charming book for preschoolers and readers of all ages poses the question, "How might my friend, a solitary bear, choose to spend his days?" The soft, almost dreamlike illustrations are accompanied by single sentences making it easy for emerging readers to follow along. Daily chores and seasonal activities become infused with special meaning when they are performed by this adorable creature. Kuma-Kuma Chan goes about his days in contented solitude, engaged in activities such as eating breakfast, gazing at clouds, listening to the rain, writing letters, and wondering where to go with his new bag. At night he watches the sky darken and brushes his teeth before bed. He gardens in the spring, trims his hair in summer, composes a love song in the fall, and seeks a warm, sunny spot on the floor in the winter. Children and adults alike will take delight in repeating aloud the name of their new, steadfast storybook friend and look forward to spending more time in his imagined world. Kazue Takahashi is an illustrator and a children's book author.